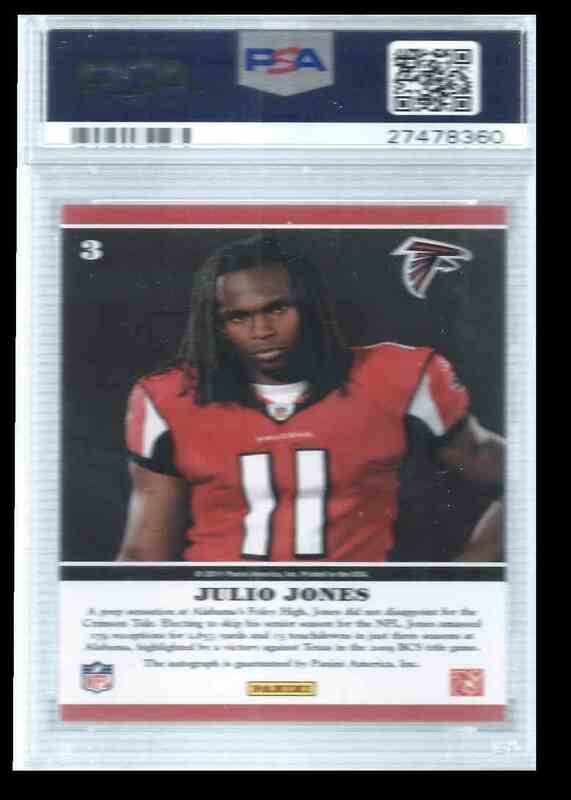 This is a rookie autographed Football trading card of Julio Jones, Atlanta Falcons. 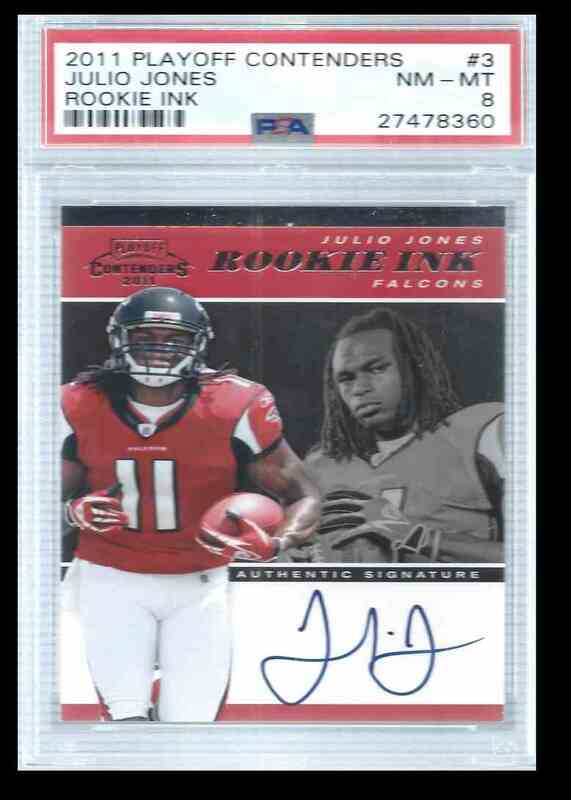 It comes from the 2011 Playoff Contenders Rookie Ink set, card number 3. It is graded 8.0 by PSA. It is for sale at a price of $ 279.99.